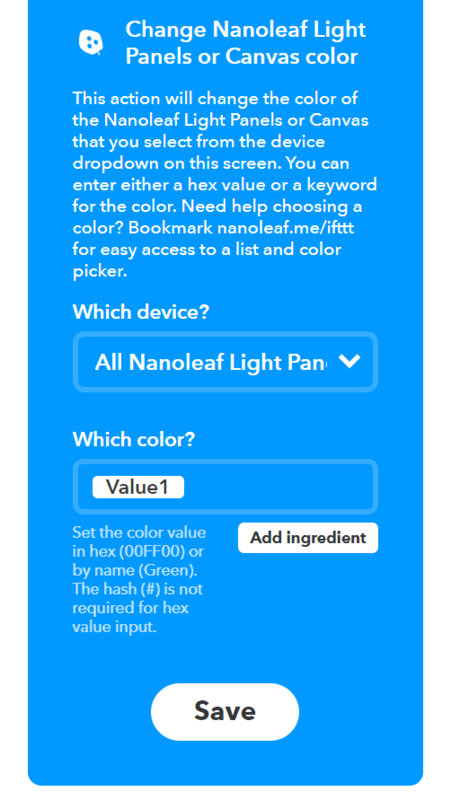 In the documentation for the Change Nanoleaf Light Panels or Canvas color trigger it says that we can set the value either by CSS name or by Hex code. . It only seems to work for plain english colours such as white and green. But it doesn't support cyan which leaves me confused as to which colours are supported? 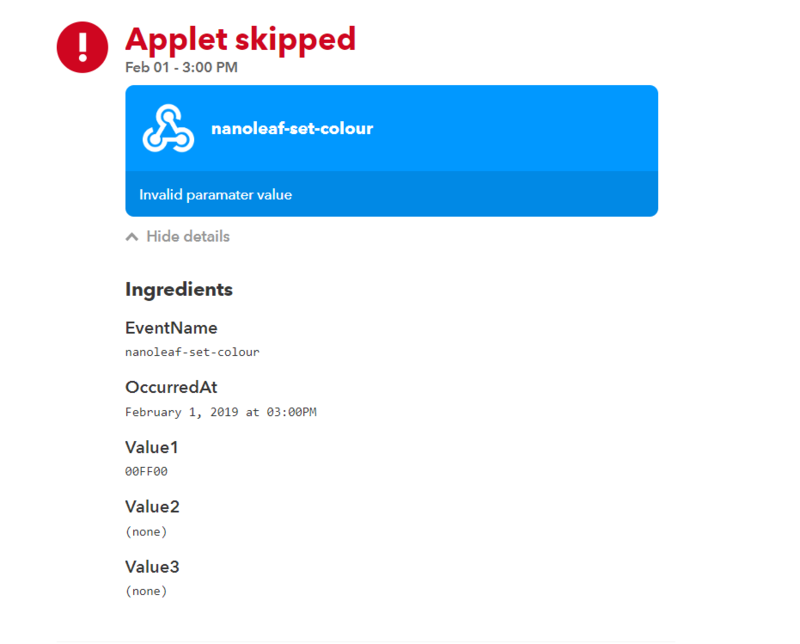 Please fix this as I'm relying on these triggers to securely integrate my nanoleaf with my home automation system. Let me know if there is any additional information that would help.